A robin lays three to five bluish green or sky blue eggs. 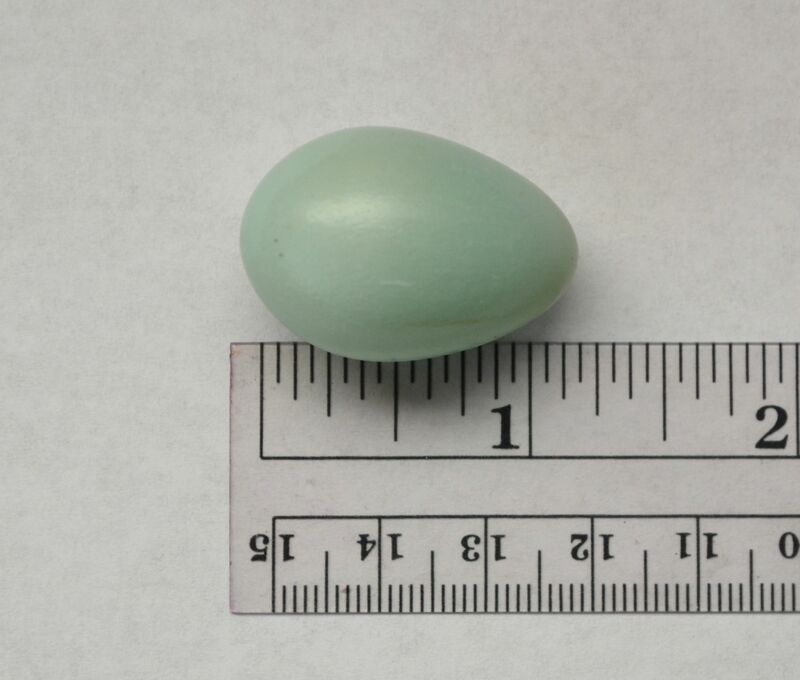 The eggs are approximately 1.2″ x 0.8″. Helpless, naked chicks with sparse white down hatch after 12 to 14 days and spend about 13 days in the nest before fledging. Three broods per year are not uncommon. I found this egg on the ground near our house (Modoc County CA) last season. The nest in the tree above the egg had four young robins. I assume this egg was either infertile or had fallen out of the nest days earlier. This entry was posted in Birds and tagged American robin, bird egg, nature photography, Turdus migratorius. Bookmark the permalink.